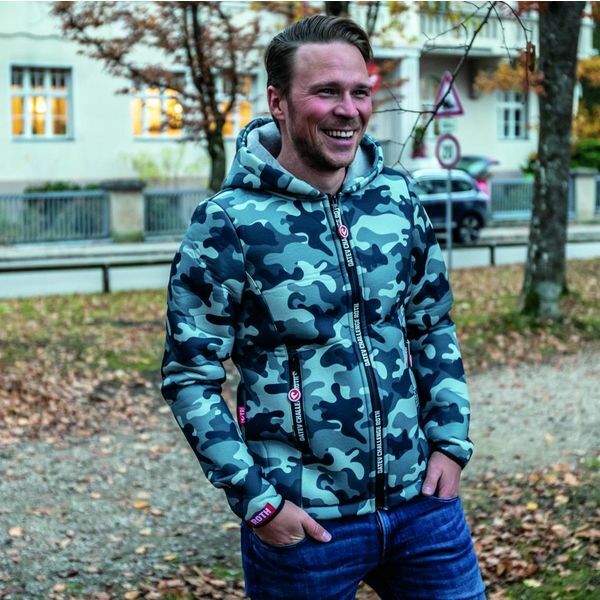 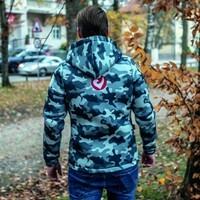 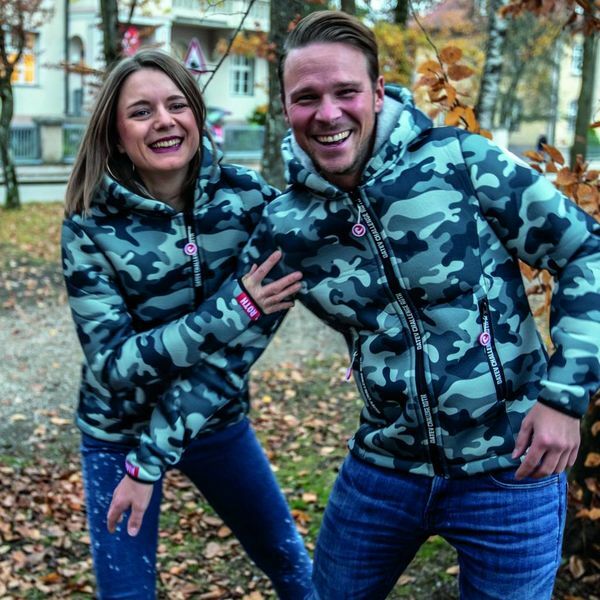 The grey camouflage thermos jacket design makes it to a sporty cloth style for rainy and cold days.The grey camouflage pattern makes a simple jacket style which get pimped up with the red white waterproof pocket zippers. Also the Challenge company logo on the left arm and at the hood set accents. 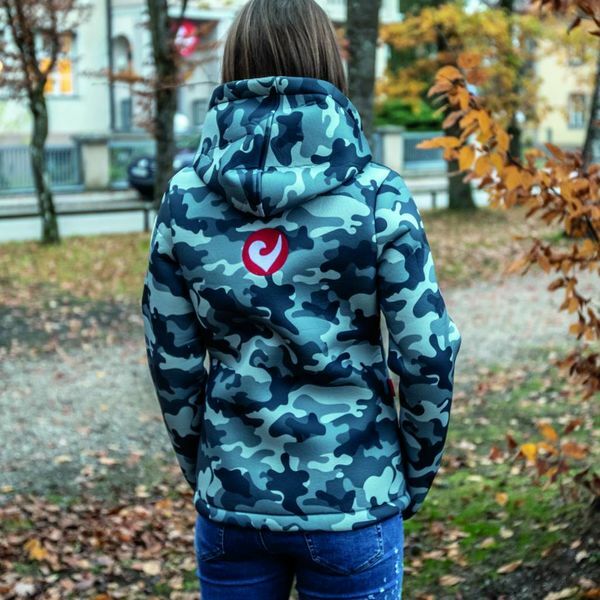 The softshell material is waterproof and perfect for rainy days. 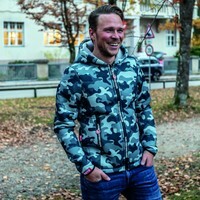 It's also a jacket for cold days cause of the thermo lining which holds warm. 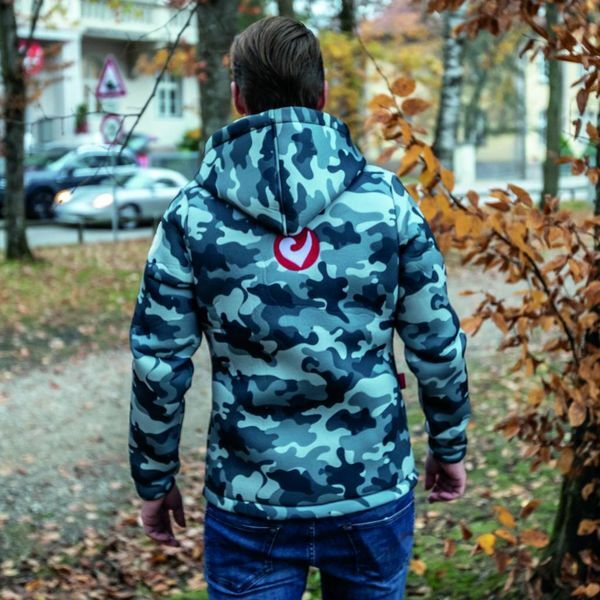 All in all it's a stylish jacket for cold and rainy days.